Herr Jens Band (also known to many as Herr Jens's Bavarian Oompah Band) specialises in traditional German 'Bierkeller' Music. 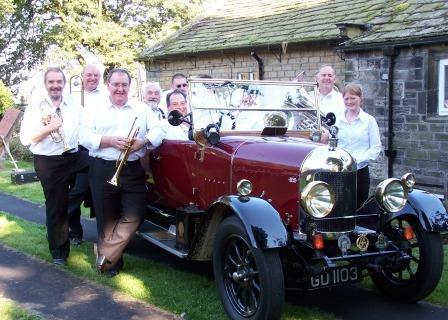 Based in West Yorkshire, Herr Jens's Band comprises of upto ten of the best musicians Jens could find... Some professional, some semi-professionals and some retired or even just 'keen' amateurs from a variety of local Yorkshire bands... in effect, you get a Mini Concert Band. The musician are filled with enthusiasm, for they love to play, and with the varying musical tastes and abilities that each of it's musicians bring to their sound, Herr Jens's Band, will appeal to a wider audience. They're available for performing at all types of events, on a barge, on a moving train, for Weddings, Birthdays, Dances, Bierkellers & Beer Festivals, Council Park Bandstands, Church Services, Corporate Events, or even a Royal Visit, the list is endless!